HomeAre you protected against flood damage? Floods are the most common natural disaster that Washington residents face, and are a threat to life, property and public services. This year, waters in the Eastern Pacific are experiencing what promises to be the strongest El Ni�o recorded. While the actual effect El Ni�o will have on weather here in the Northwest is hard to predict, there is a potential for more precipitation. In Eastern Washington, where fires have scorched hundreds of thousands of acres, there will be an increased risk of flooding, landslides, and mudslides due to increased run-off after even moderate rains. Despite that, most Washington consumers are not protected--standard homeowner�s insurance does not cover flood damage. Flood insurance is available through the National Flood Insurance Program (NFIP), and offers protection against flood hazards for homeowners, business owners, condo owners and renters. The average residential flood claim exceeds $39,000, while the average flood insurance policy premium is $700 per year. 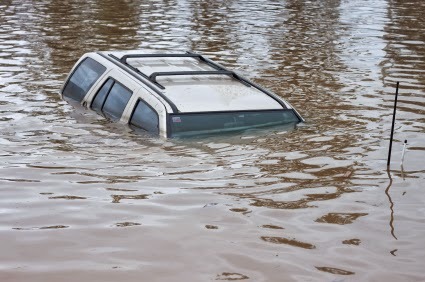 You don�t have to be in a flood hazard zone to be affected by a flood. People outside of mapped flood-risk areas file 20 percent of all flood insurance claims. See Myths and Facts about the NFIP. Another benefit of purchasing flood insurance is that a policy holder may file a claim regardless of the declaration of a disaster. Check to see if your community participates in NFIP.